Fiber is the digestive system’s best friend. In addition to supplying healthy fiber, fruit contains antioxidants that can help prevent throat and stomach cancer. Apples, figs and raisins are high on the list of digestion-healthy foods. Yogurt contains the good bacterium that replaces the bad bacteria in your stomach. Digestive health relies on a delicate balance of bacteria. In addition, yogurt contains probiotics, which aid digestion. 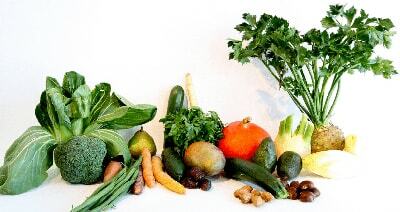 Vegetables are rich in fiber. Many also have the important probiotics your stomach craves. Asparagus is particularly high in probiotics and fiber, as are onions, artichokes, soybeans and leeks. Whole wheat bread is one of the most available and common sources of good fiber, which keeps your digestive system regular. Choose whole grain options whenever possible, but keep the servings slim. Even though the whole grains are great for digestion, too much of a good thing has a detrimental effect. Bananas are so good for your digestive system that digestive doctors recommend the fruit for both diarrhea and constipation. The simple carbs in bananas are easy for your stomach to break down, giving you the energy you need when you’re not feeling well. Brown rice may be a healthier alternative to bread for getting your daily fiber. It moves quickly through your digestive tract, promoting regularity. While it has more calories than most fruits and vegetables, it’s less fattening and more filling than bread. Some seasonings are nature’s remedies for relieving gas and aiding the digestive process. Ginger helps your stomach empty properly and is known to calm nausea. Other seasonings good for your digestive system include cardamom, cinnamon and caraway. Beans are another source of fiber. They also contain protein, which can help you reduce the amount of meat you eat, leading to a healthier digestive system. Red, black, soy, white and kidney beans are low-calorie and well suited to a wide variety of healthy, tasty recipes. While healthy, you should handle nuts and seeds with care. Nuts tend to be very high in fiber, but high in calories too. Seeds can be a healthy, but also can affect a range of digestive conditions. If you have digestive issues, consult Dr. Khodadadian before turning to nuts and seeds. It’s not a food, per se, but water is one of the most important ingredients for a healthy digestive system. Drink water while you eat and between meals. Your daily requirement may vary depending on how much you exercise and whether you’re taking medication, but every system in your body, including your digestive system, needs water to function properly.